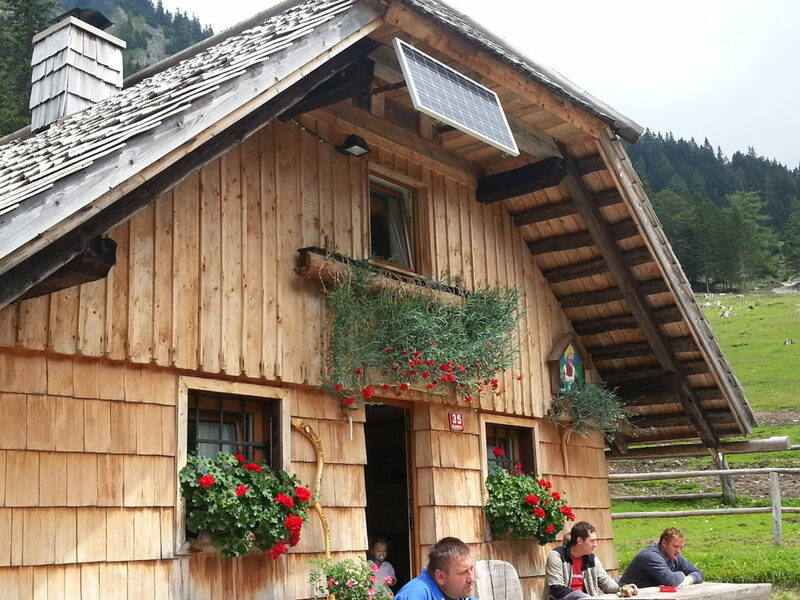 Above Tržič we drive through Jelendol up to our starting point at pod Krnico. 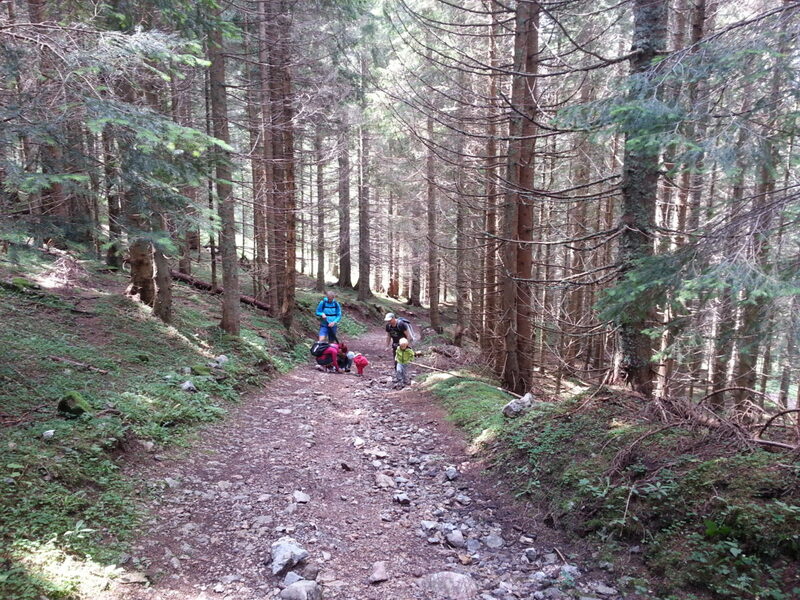 We follow easy marked trail through forest up to planina Spodnja Dolga njiva. 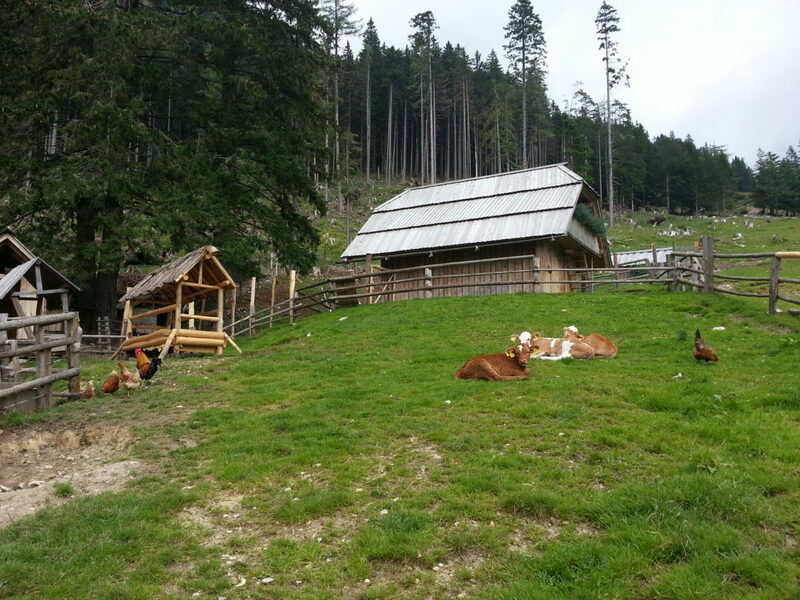 Here we can usually taste delicious traditional food (masovnik, žganci, …) and enjoy the company of domestic animals. 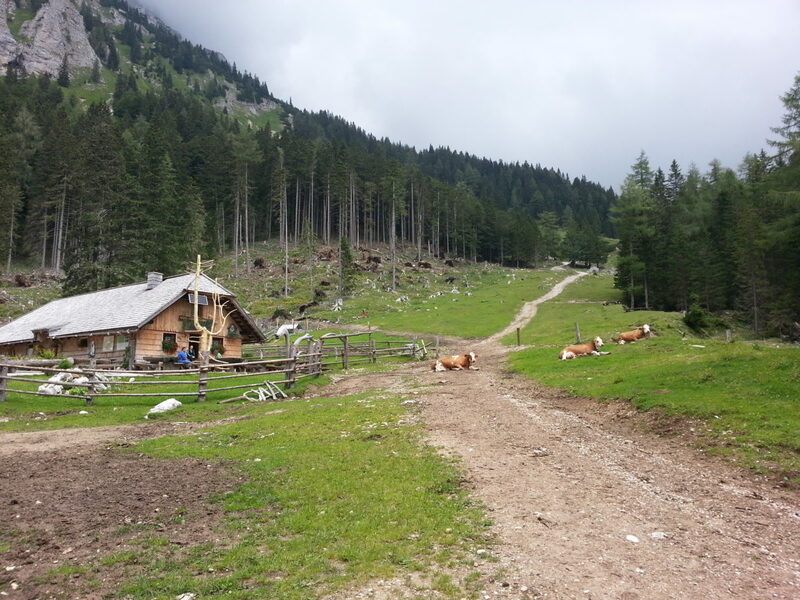 We can foolow the trail to Mala and Tolsta Košuta (2.057 m) or Košutnikov turn (2.133 m; a short passage with iron rope just before the summit).